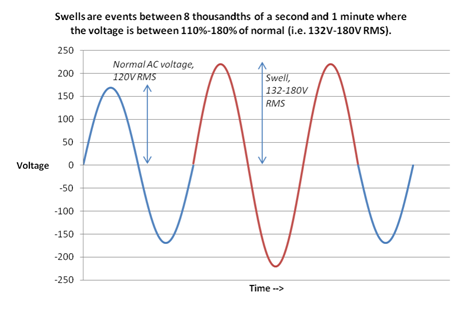 Long term over-voltage events are generally rare but when they occur can be damaging. Undersized distribution infrastructure coupled with periods of high demand can lead to utility companies increasing voltages so that the power required can be supplied. In some rural areas utilities will leave capacitor banks in during periods of low demand (i.e. on the weekend and holidays) which can lead to higher than normal voltages. 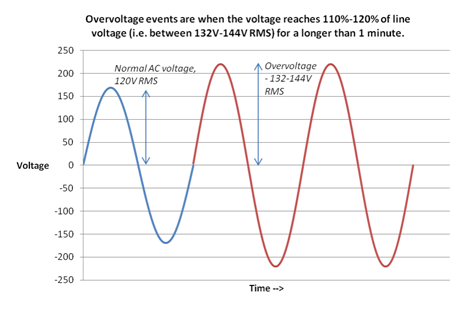 Regulated linear power supplies will dissipate more heat in an over-voltage situation causing potential equipment overheating. High voltages can also cause breakdown of electronic components such as capacitors operating close to their rated voltage in the unregulated supplies typically found in amplifiers.